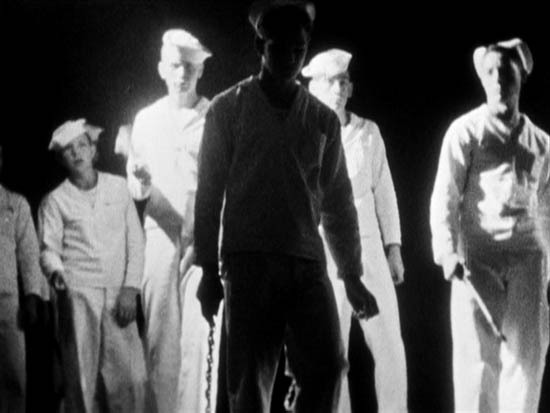 Fireworks (1947) – the one where young Ken daydreams that he is beaten by sailors and a roman candle is set off in his pants. Didn’t blow me away as much this time, but maybe I’ve seen it too many times. Would still recommend to everyone as the definitive statement on being gay & 17, the United States Navy, American Christmas, and the Fourth of July. Just unbelievable that this was made in 1947, with practically no precedent… before even Stan Brakhage had picked up a camera. I guess Anger wasn’t old enough to know that this kind of thing was not done. Puce Moment (1949) – the one where a glamourous actress lives in her glamorous house, and a bunch of classic hollywood dresses are paraded in front of the camera. Guess I didn’t see the point because I don’t care about dresses and glamour. Commentary was the best part. Anger’s mom or aunt or someone was a costume designer for the silent films, so he’s filming these dresses in vivid color which have only been seen on screen before in black and white. Part of a longer movie that got scrapped. 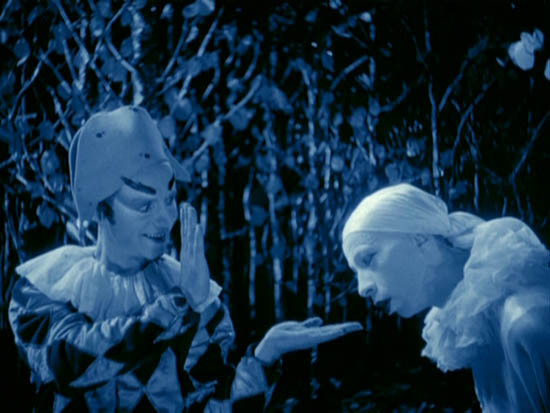 Rabbit’s Moon (1950) – the one where mimes do a dance in a forest, and one tries to reach the moon to impress a girl and I’m pretty sure he dies in the end, oh and there’s pop music playing. Really neat, wasn’t expecting to find a mime movie on here. Anger says the film was commissioned and the actors were hired from the Marcel Marceau school. He talked about the storyline too, but I can’t remember much of that. Cool little movie – the one from this disc that I’d show off to people in my never-gonna-happen short-films fest. 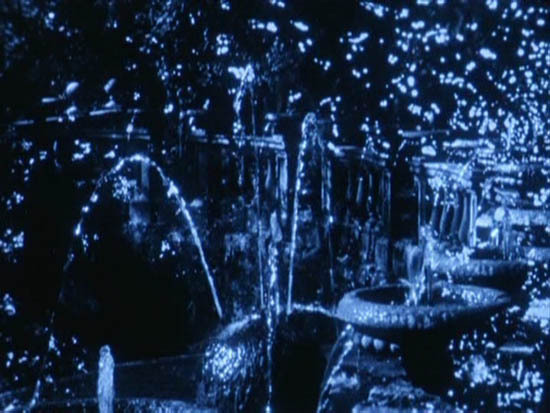 Eaux d’artifice (1953) – the blue-tinged one where Ken just photographs water in some garden fountains and sometimes a woman (actually a very small woman) runs by in a fancy dress. Maybe my favorite of the bunch. Just light sparkling through water, opera music playing. Peaceful. 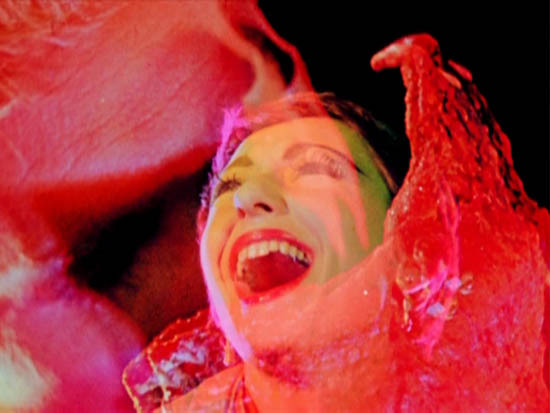 Inauguration of the Pleasure Dome (1954) – the slow one where people in fancy costumes stand around and do stuff and finally blend in weird montages (or “the one with Anaïs Nin”). I was dozing off, should watch again with the commentary on. A long, pretty, entrancing and colorful movie. Maybe best to watch while dozing, really.